"SP" redirects here. For the phase, see Standby Phase. Short Prints are identical to Commons, except they are harder to find. The current ratio of finding one in a pack is approximately 1:3. 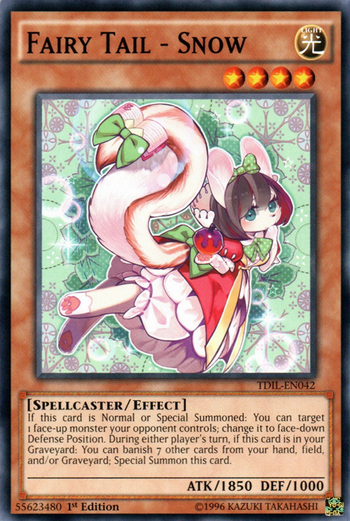 This rarity only exists in the TCG, although it is essentially the same as the OCG's Normal Rare. This rarity was discontinued after Ancient Sanctuary, but was re-introduced in the TCG in Phantom Darkness. In the latest booster packs, the cards that are chosen to be Short Printed cards are the same as the ones chosen to be Normal Rares in the OCG. The term "Short Print" is also applied by players to cards of other rarities, like Super or Ultra Rares, that appear to be harder to find in booster packs, although there is no evidence that some cards of other rarities are short printed with regard to those of the same rarity. According to a post by Kevin Tewart, all Booster Packs contain Short Print cards. In older booster packs, several cards are considered to be Super Short Print, which are also identical in appearance to Common cards, but even more difficult to find (as compared to a regular Short Print card). However, Kevin Tewart has stated that no such rarity exists. This page was last edited on 15 October 2018, at 05:05.